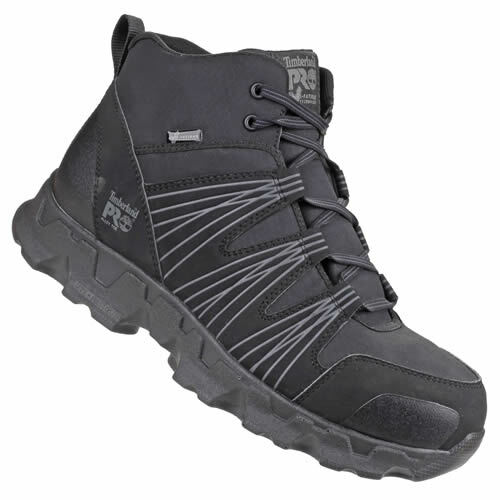 Timberland PRO 024726 POWERTRAIN mid-height safety boots (Black) builds upon their outdoor heritage, offering the highest protection in a lightweight, comfortable safety boot. Lightweight & robust mid-height safety shoe with premium synthetic uppers for durability and comfortable feel. 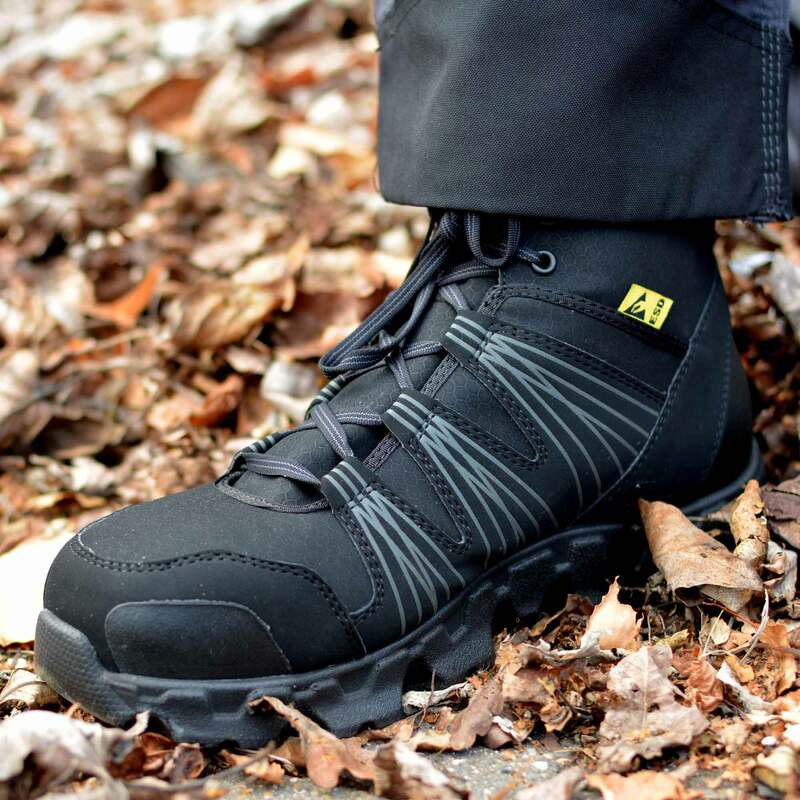 Strong impact, compression & puncture protection from the steel safety toe and steel anti-puncture plate. Excellent shock absorption and high slip/abrasion resistance on any surface thanks to the non-marking sole. Proprietary outsole with built-in anti-fatigue technology absorbs shockand returns energy at key zones of the foot for comfort. 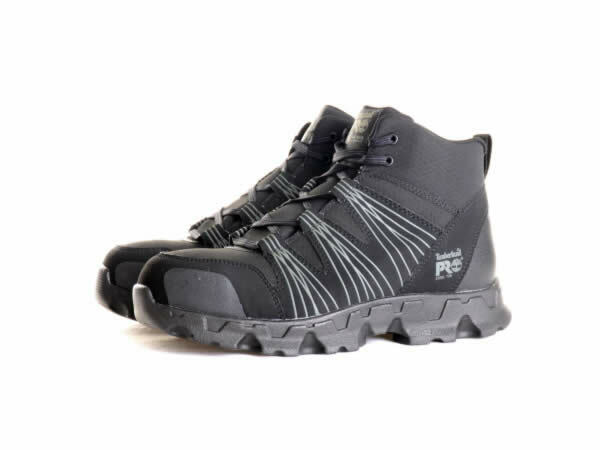 Molded, inverted cones support, collapse and return energy in key pressure zones, the cone structure uses less material for a lighter boot. Padded top collar for comfort, fibreglass shank, mesh lining with antimicrobial treatment & cement construction.